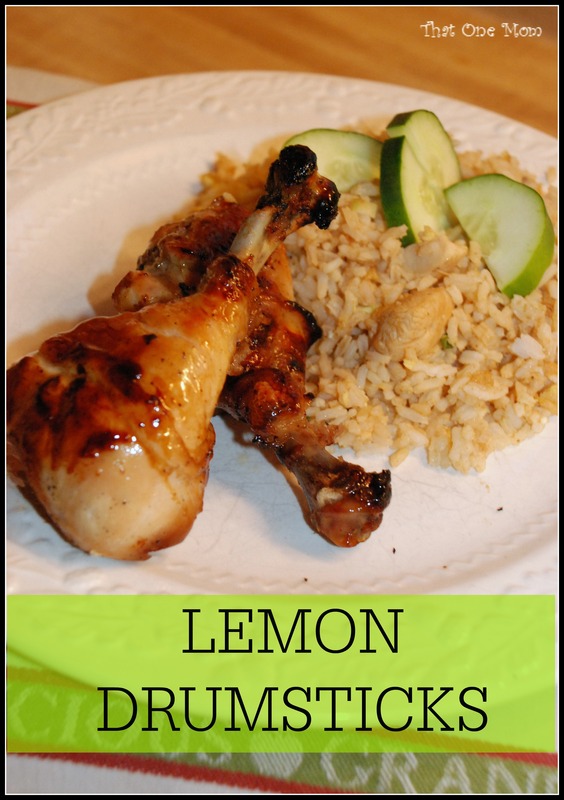 This Lemon Drumstick recipe can actually be used on any kind of chicken–legs are just less expensive and I always seem to have some in the freezer! 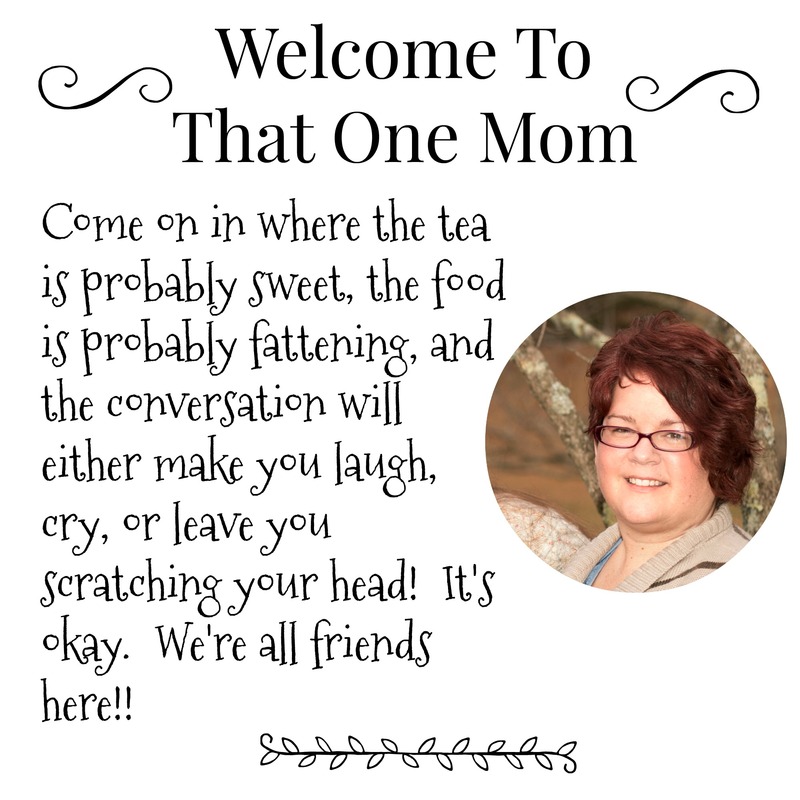 This is also one of those recipes that you can customize. I don’t recommend cutting the amount of lemon, but I think it would still turn out great if you added more. 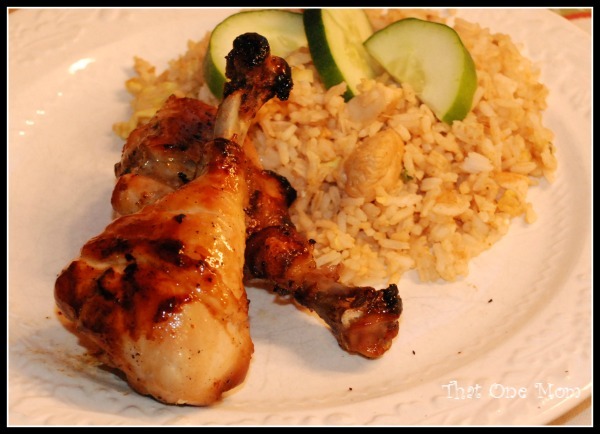 I served mine with fried rice, but it would pair well with just about any side dish. 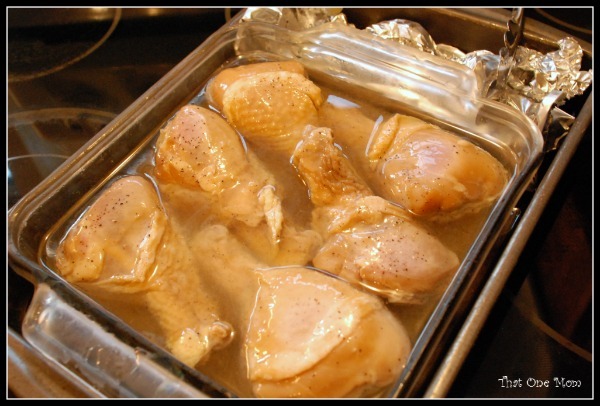 Bring vinegar, pepper, salt, and brown sugar to a boil. Remove from heat and add oil (Your preference–I used canola because I was out of olive) and lemon juice. Add the sliced lemon if you choose to use it. (Just gives it a little more lemon flavor.) 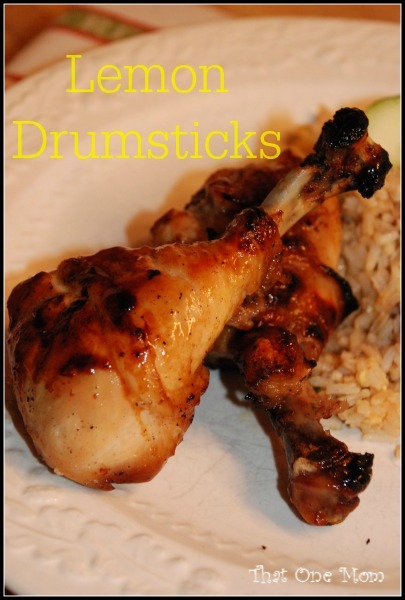 Marinate the drumsticks at least 3 hours…over night is best! Normally, I would put mine in a large freezer bag to marinate, but I ran out. The pan method seems more time-consuming to me. If you do it that way, it needs to be turned every now and then to make sure it soaks up all of that lemon goodness. Notice I used two pans. It was filled to the brim with the marinade by the time I was finished and I just didn’t relish the idea of cleaning it out of the fridge every time somebody bumped it!! Cooking the chicken legs is a matter of time and personal preference. Personally, I have broiled them for about 10 minutes on each side and this works well as long as you keep basting them and don’t let them burn. You also need to make sure they are done inside! If you have the time, these are excellent roasted. Just cook them in a 375 degree oven for about 45 to 50 minutes. If they aren’t crispy enough for your taste, switch the oven over to broil and cook them for a minute or two (or three, depending on just how crispy you want them) on each side. Someday, I’m going to try them on the grill!